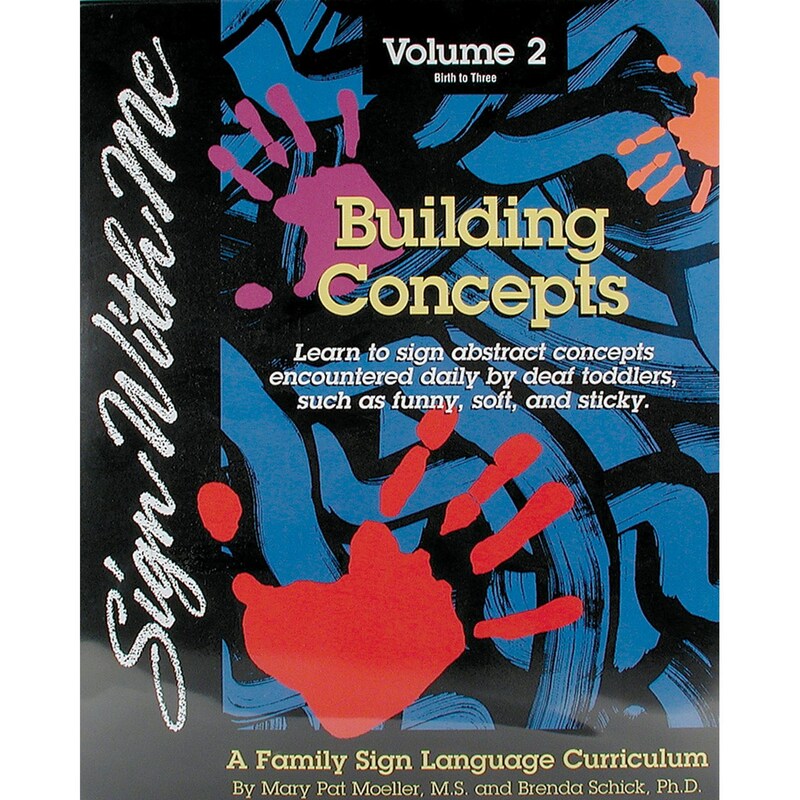 This unique instructional video comes with a lesson book that will help you improve your signing and parenting skills. The video teaches you techniques to stimulate your Deaf child's language acquisition and motivates them to use signs to describe feelings and experiences as well as objects. It also helps to teach concepts like wet and dry during your child's daily routines such as bath time. It will also help you use question words to encourage your child's curiosity. Building Concepts is ideal for parents or caregivers of babies and children up to 3 years of age. It's the second of a three-volume set, which also includes Building Conversations (Volume I) and Positive Parenting (Volume III). Running Time: 75 minutes (VHS).